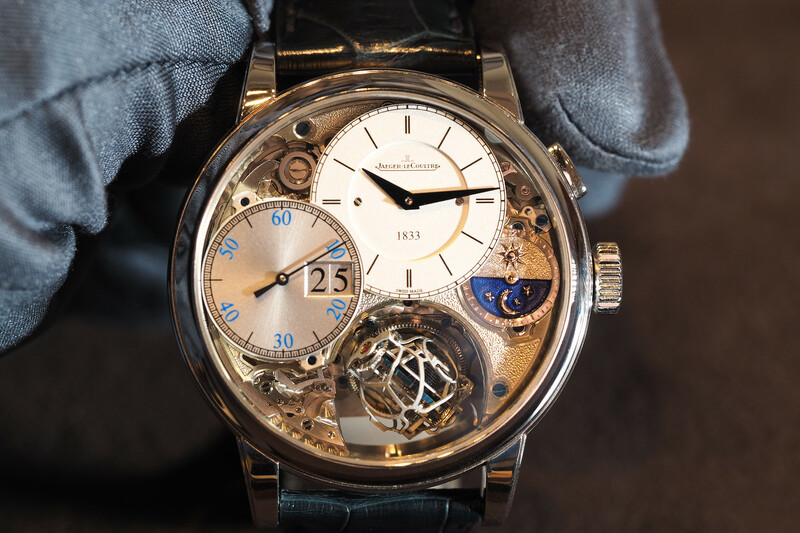 At SIHH 2014, Montblanc presented its best collection of new models for some time. The arrival of Jerome Lambert as the new CEO in 2013 has led to some very competitively priced novelties being created. The new Meisterstück Heritage Collection delivers classic lines, handsome styling and, most notably, exceptional value. This is wonderfully illustrated by the release of a stainless steel perpetual calendar with a retail price of $12,800. Also comes in 18K red gold, priced at $21,600. Like many watch collectors I have desired a perpetual calendar but, have sadly, lacked the pecuniary means to fulfill this wish. However, with the arrival of the new Montblanc Meisterstück Heritage Perpetual Calendar, there is now hope. Indeed, there is much merit in a watch that only requires adjustment once every 100 years. Value is a theme common to several models across the Meisterstück Heritage Collection. The various models feature detail typical of more expensive timepieces, such as sunray finish to dials and applied indexes. A personal favorite from the new collection is the Meisterstück Heritage Moonphase presented in an exquisite 18K red gold case. It is tasteful with discreet details that should confer owner enjoyment for many years to come. The pricing is, once more, particularly attractive at $14,700. Also comes in stainless steel, priced at $4,500. While Montblanc has produced accessible models, it has also released some high-end timepieces which harness the incredible craftsmanship and know-how of the Villeret Manufacture. The Montblanc Heritage Pulsograph Limited Edition is a mono-pusher chronograph, delivered in an 18K red gold case and featuring a pulsometer scale. This timepiece certainly had my pulse racing with one view of its movement, the caliber MBM 13.21. Close examination of the Minerva movement reveals peerless finishing. A screwed balance, swan-neck regulator, hand-chamfered bridges and plates, Côtes de Genève motif and circular-grained wheels coalesce to provide a profoundly impressive specification. The Manufacture movement from Villeret, formerly the famous Minerva site, is wonderfully executed. The interior angles of the bridges, bevelled by hand, stand testament to the adroit skill of the artisans who work at the manufacture. The column wheel chronograph is yet another indication of the no-compromise construction of the movement. An aspect of this movement I find particularly appealing is its traditional appearance, with the going train openly revealed. Montblanc is only producing 90 examples of the Pulsograph, marking the 90th anniversary of the legendary Meisterstück fountain pen. Retail price is $34,500. A further high-end Montblanc timepiece, featuring another manufacture movement from Villeret, is the new Timewalker Chronograph 100 (pictured top). This is another limited edition model, restricted to a total of 100 pieces. In this instance, classic lines have made way for an altogether more contemporary aesthetic. 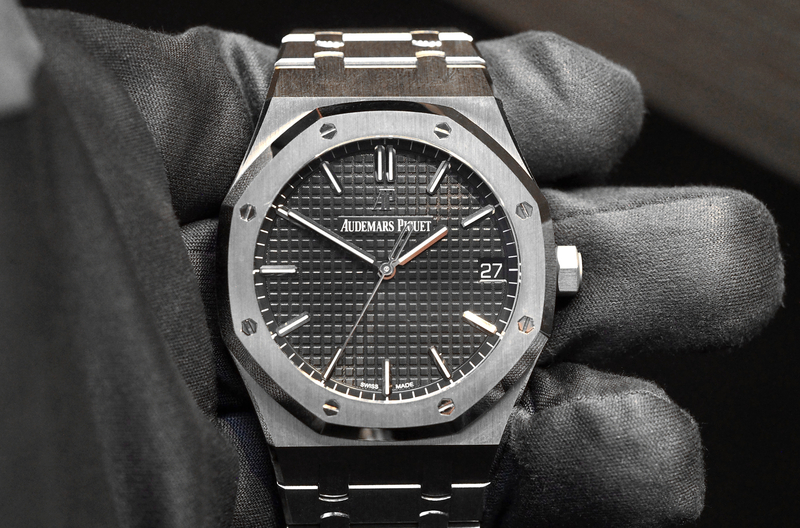 The substantial 45.60 mm diameter case is made of titanium and titanium-carbon. The timepiece indulges the eyes with a view of the main plate via a transparent sapphire crystal dial. The sight of perlage, the winding stem and column wheel from the front of the timepiece provides a charming visual reminder that this is a mechanical watch. Turning the watch over, an exhibition case back reveals the manufacture caliber MBM 66.25, again, presented to an extremely high standard. Interestingly, this watch is equipped with two balance wheels, one serves the time indication whilst a second, smaller balance, regulates the chronograph. Furthermore, the latter balance has a high frequency of 360,000 vph (50Hz), causing the central chronograph seconds hand to move in intervals of 1/100th of a second. The power reserve is an impressive 100 hours. Retail price is $63,900. In producing the Timewalker Chronograph 100, Montblanc has fused modern materials, contemporary aesthetics and traditional craftsmanship in a highly impressive package. 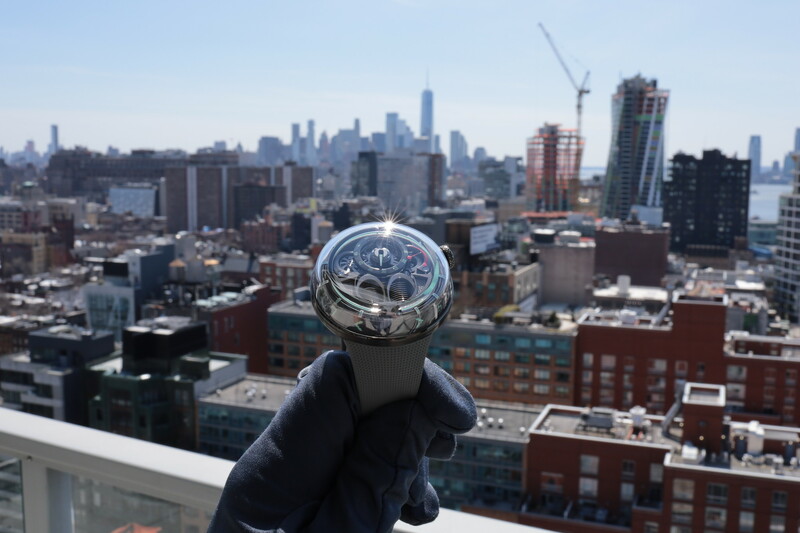 As I walked through the exhibition halls of SIHH I recall seeing a profusion of visitors at the Montblanc stand, spilling out into the main thoroughfares. There was evidently a “buzz” around the brand’s stand. Admiring the timepieces, I could immediately see that there was much appeal to this latest collection. Under the stewardship of Jerome Lambert, the company has provided a competitive array of new models. The “standard” Meisterstück Heritage Collection delivers an attractive blend of handsome designs and value for money. The costlier Pulsograph and Timewalker Chronograph 100 harness sublime watchmaking craftsmanship, respectively delivered in traditional and neoteric forms. It seems that Mr Lambert has orchestrated the creation of a new range of models that appeal to the majority of tastes and budgets. 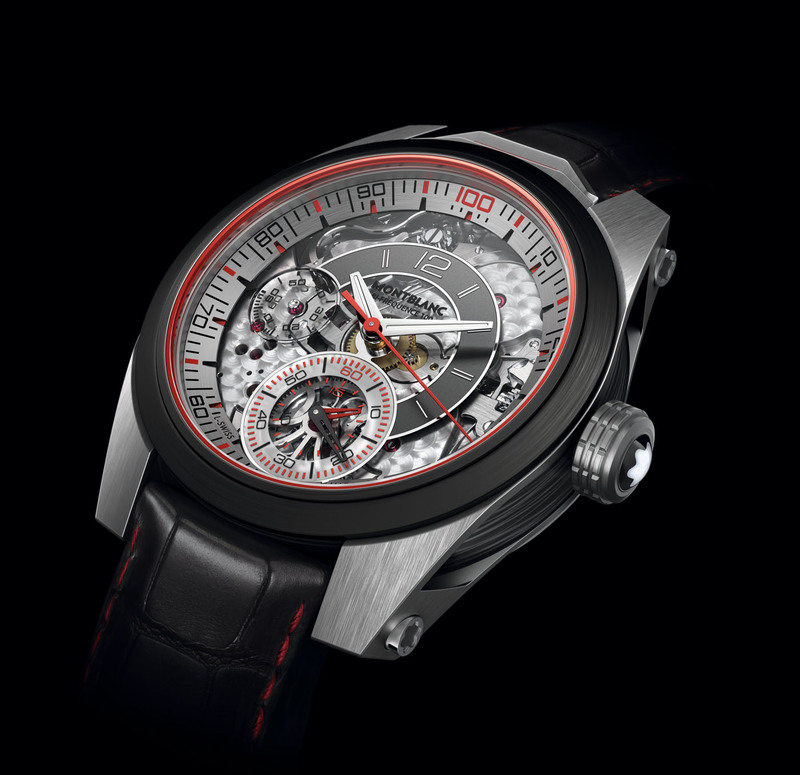 Based on this year’s collection, I suspect the popularity of Montblanc’s watches will rapidly grow. For more info, visit Montblanc.